Between last autumn and this spring I put together the cab for my Regner Konrad (see my posts on designing, and cutting and beginning assembly of the cab). 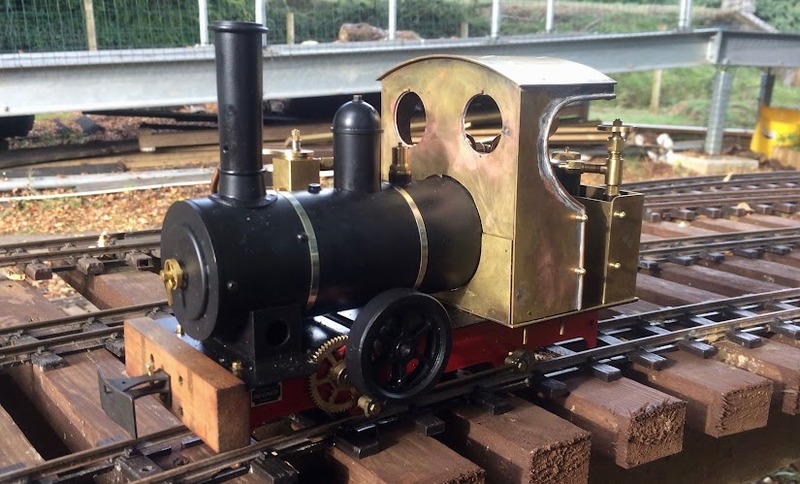 This post brings progress up to date – there are several finishing touches still needed, and paint – but at the time of writing I have at least been able to run the loco with its reconfigured bodywork. I used the same technique for joining the cab sides front and roof as for joining the lower front to the footplate – form a piece of brass angle, solder, drill rivet, and solder. 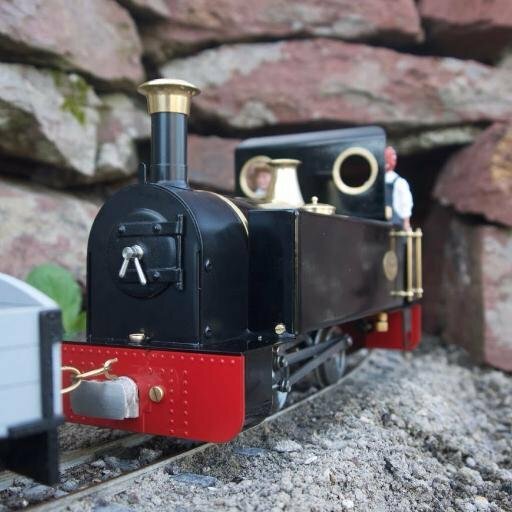 I wanted to upper cab to be removable so we soldered bolts into the angle and the base of the sides, and drilled holes through the footplate to take these. I’m hoping to shorten these a bit. We also added a tab to sit behind the lower half of the cab front to try and keep the join as tight as possible. I soldered the frames for the Swift Sixteen spectacle plates behind the holes for the spectacles. Once the cab is painted I will fit the spectacles and then glue on the frames at the front. I soldered copper beading along the cab sides. Through practice, as you can see, my soldering standard has been elevated from “inexperienced” to “incompetent”. The handrail knobs are from Chuffed to Bits and are simply fitted by drilling a hole and fixing with a nut. I have yet to add some brass rod for the handrails. I think I probably need 1.5mm (certainly 1.6mm is too big). I assembled the bunker by aralditing the brass pieces to the gas tank. On one side the thread on the knobs had to be cut (the knobs were soldered in instead). ...and with the side glued in place. On the other bunker side, I soldered a smaller piece of copper inside, because without the tank to glue to, this created a better “edge” to form the corner joints. And that’s how things stand today. So here she is running with the cab in place and the gas tank in its new position. Besides the spectacles, fitting the handrails, finding a new rear buffer beam and painting, I’ve also got some Swift Sixteen cab steps to fit. Oh, and a water filler valve. And I must get a whistle. I’m also thinking of adding a servo in the cab to remote control the reverser (and experimenting with opening the ports on the cylinder to increase the chances of the loco self-starting). Still plenty to do! Very nice job. When painted, you won’t know it wasn’t part of the original model.